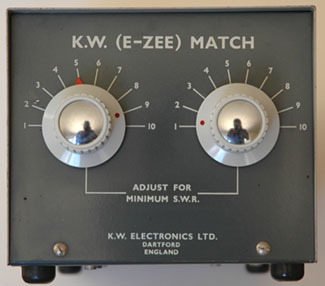 Decca Communications KW-EZee Match antenna tuning unit. I Purchased the KW-EZee Match at a ham fest several years ago for about $15 without knowing anything about it other than it appear well built and in good condition and that it may be useful for portable operations. Recently I dusted it off and took it into the field and was pleasantly surprised by what is a very flexible antenna matching unit, capable of matching a simple wire antenna or a balance feed line antenna from 80 through to 10 metres. This matcher is design for what I need for portable operations, a simple solidly built unit with no fragile switches or meters and is suited to matching a simple wire antenna hung in a tree or similar. 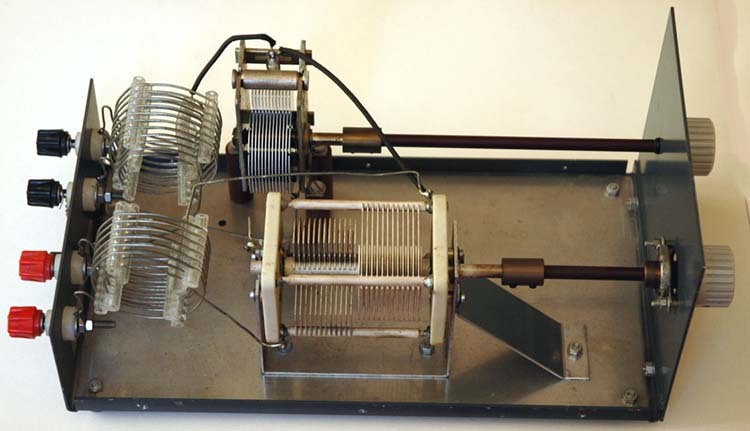 The KW-EZee Match is design for either a wire and ground connection or for a balanced feed line without the need for the losses introduced by the usual balun found in most modern matches. 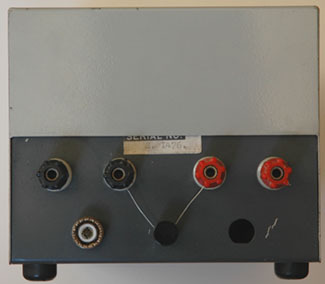 Photo#2 shows the antenna connections at the rear of the unit, note the centre connector of the pairs are linked to the ground terminal, this configuration is for unbalanced feeds such a simple wire and ground antenna or any coax feed, if the matcher was to be used for balanced ladder line for example the links would need to be removed. 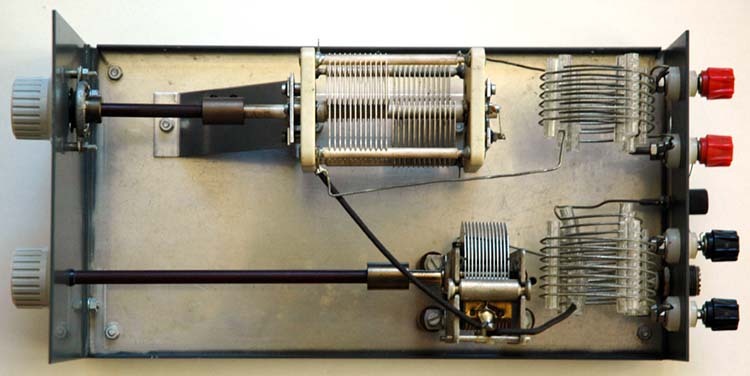 Maximum Power: 400 Watts SSB, 100 Watts AM. Antenna connections at the rear of the unit are two pairs of terminals each capable of accepting banana-plugs, spade-tag or simply screw down on to a wire. The black pair of terminals are primarily used for lower bands typically 80, 30 and 40 metres and the red pair of terminals are primarily used for upper bands typically 20 through to 10 metres with a centre black terminal below for the earth connections. Reduce the transmitter power to the lowest practical value. Adjust 'C Source' (Right knob) to continue to lower the SWR. Retune to step 2/ to continue to reduce the SWR. A perfect 1:1 match should be achievable on all HF bands subject to antenna and feed line dimensions. Issues relating to practical antenna lengths for simple wire antenna are discussed in Long wire antenna for portable operations. Photo #1 Front panel controls. Left knob is the Shunt capacitor adjustment and the Right knob is the Source Load capacitor adjustment. Photo #2 Antenna connections at the rear of the unit are two pairs of terminals each capable of accepting banana-plugs, spade-tag or simply screw down on to a wire. Photo #4 Top angled internal view of the KW-EZee Match unit. Schematic of the KW-EZee Match unit.